So… amazon just told me that The Power of Zero has passed review and is up for sale. This makes today…never mind it’s evening here… my fifth release day! So far, while working with Dreamspinner Press, I’ve always known my release day weeks in advance. I could plan promotion for it, arrange my day job so it doesn’t matter when nothing gets done, and then hang out on Twitter and Facebook all day long and drink too much coffee. Today didn’t quite happen that way. I clicked “publish” on the story about twenty-four hours ago and I didn’t even have a blog post or a newsletter ready. Still, it’s been fun getting a book together and it’s been much less scary and much less lonely than I thought it would be. Nowhere near as scary or as lonely as Jack’s journey, that’s for sure. Since Job Hunt came out, quite a few people have wondered how Jack became the man he is. What made him the kind of “well-armoured lone wolf” (I’m still very grateful to a friend from LJ for that description!) who doesn’t understand how families work, yet will go and rescue two kids without hesitation, and start a relationship with a man he’s loved since he was seventeen when he meets him again seven years after walking away from him. This is the story I’m hoping to tell in The Power of Zero. This is how it all began. For me, Jack’s story will always be a story of hope, of potential, and of courage with a side of revenge and a hefty dose of payback. Jack’s story is – ultimately – a story with a happy ending… and I swear I’ll get there. And it starts on the streets of Clapham when Jack is twelve. It starts when he is drawn to a house with a red door and a classic convertible out front. And when he meets Rio Palmer, hacker ace and MI6 operative, who is as unconventional as he is dangerous, and as ruthless as he is compassionate. 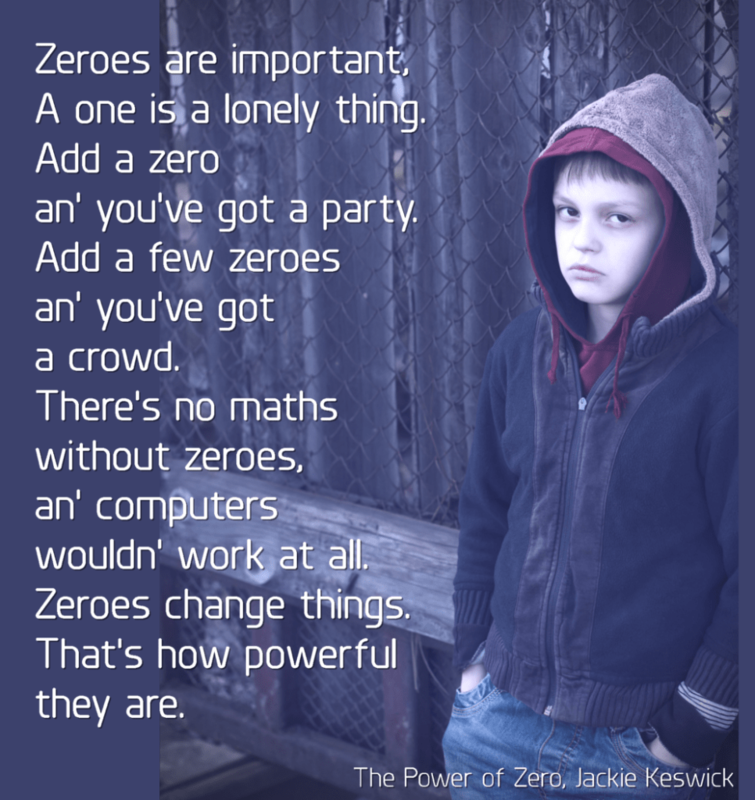 When Jack feels like a total zero – helpless, worthless, overlooked and disregarded – Rio teaches him that zeroes have power. Jack learns that lesson, and has the courage to apply what he’s learned. It’s the foundation for Jack allowing himself to build a relationship with Gareth and to fight for a bit of happiness of his own. We all deserve a bit of the happy. We all need help now and then… and I’m using this book to raise funds for the Albert Kennedy Trust, which helps LGBTQ teens who are homeless or in danger, and the Banbury Young Homelessness Project, which supports homeless young people in Oxfordshire. It’s my way to say thank you to everyone who helped and encouraged me to reach for my own slice of happiness – and to pay it forward.